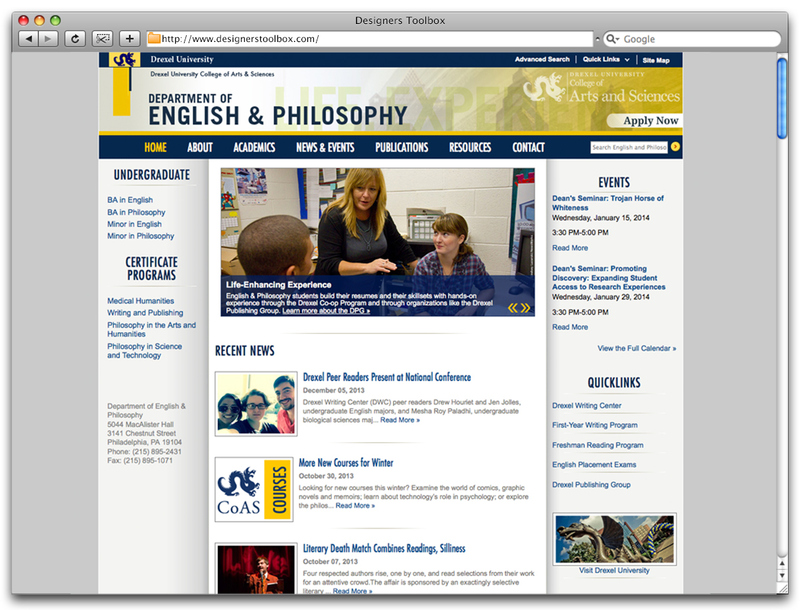 Brochure system for Drexel University’s College of Arts + Sciences. 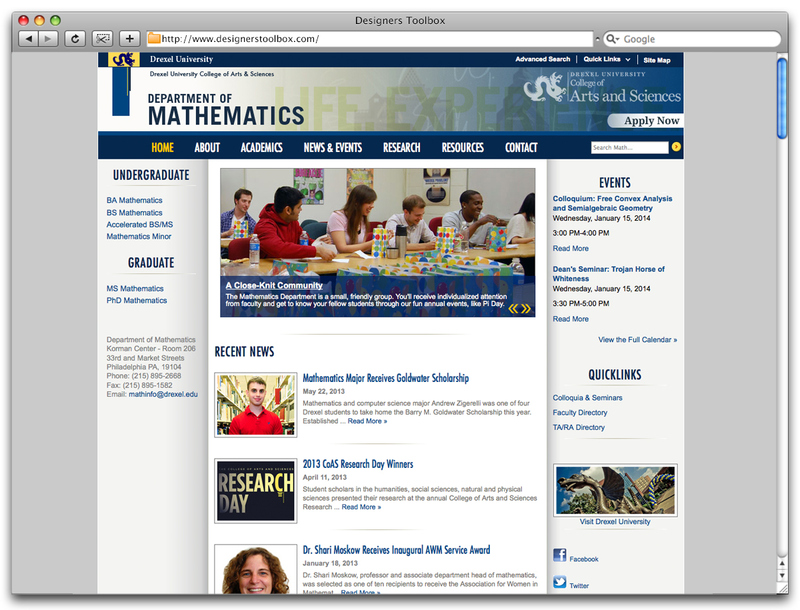 Includes a 16-page overview book, nine departmental brochures, folder and web banners. 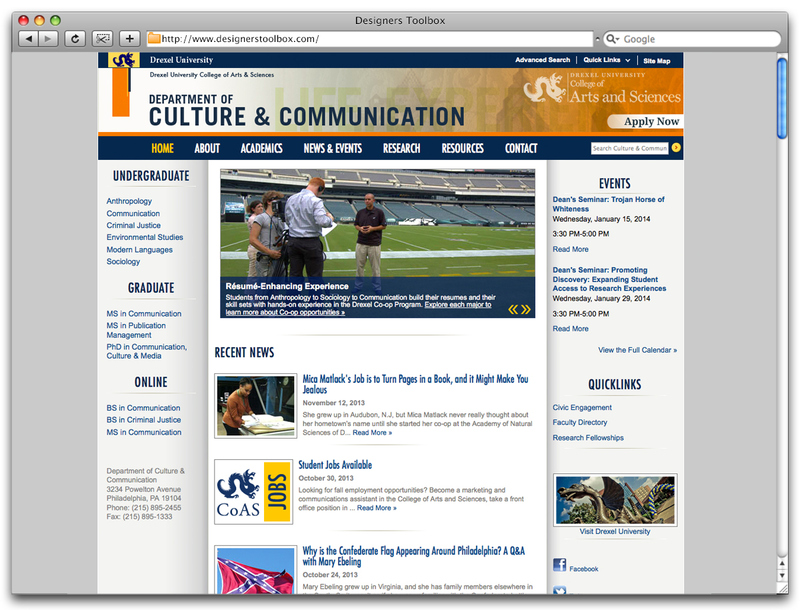 Department website banners designed to complement the brochures.